Both were delicious. 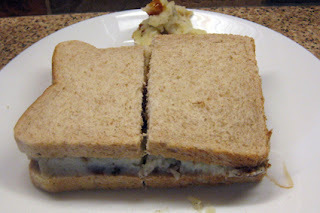 Never had a cheese and mash or bubble and squeak sandwich, give it a whirl! I've never heard of that before. Very creative! 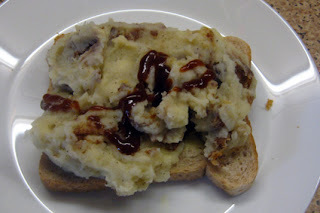 I love bubble and squeak not sure about having it in a sandwich. Not much different to a chip butty. Love any kind of bubble and squeak combo but not so sure about it on a sandwich. Go one give it a whirl, the crispier the better. 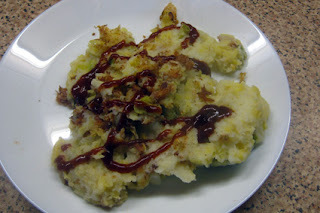 I have always wondered what bubble and squeak was thanks for enlightening me. Don't know if I would have it in a sandwich though. Potatoes and cabbage or other greens are the normal routine but any vegetables and potatoes will do. Nah, give it a whirl.